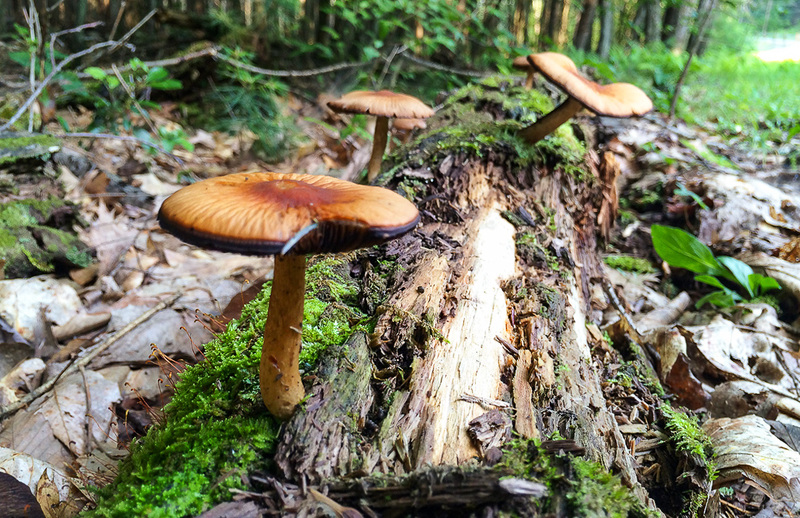 I embarked on the Daily Catskills project on September 10th 2014 and every day I take an image – or several, or a hundred – of the Catskills. After a few months of this, in order to keep things interesting, I had to get more creative and, as a result, developed a more acute awareness of the landscape. Wildflowers are especially fascinating because many of them only have a short life. You have to pay daily attention to catch the budding, flowering and expiring of plants like rhododendrons, lupine and lilac, for example. Milkweed has quite a long life and milkweed’s long, green stalks began to grow on our ridge in May. Now, the buds are in various stages of which there are about three main stages: the green closed bud (1), which turns pink (2) and the open pink bloom (pictured above). 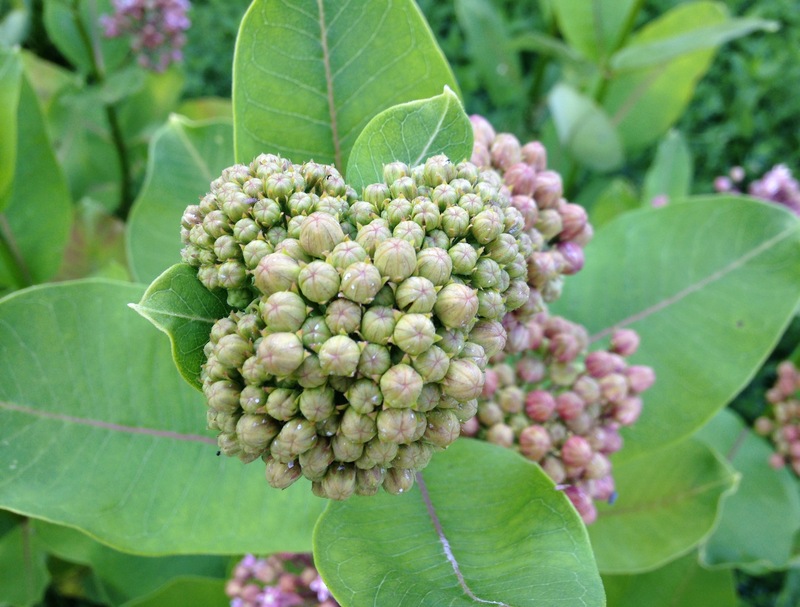 Quickly after that, the pink blooms wilt, become floppy and fall off, but most important you can find buds at all stages on one milkweed stalk. I’ve never seen milkweed in such abundance on our ridge until now and it’s attracting many gorgeous butterflies to the area, like the Monarch which the Sierra Club says is endangered. Programmes like Monarch Joint Venture encourage people to create milkweed habitats for the Monarch Butterfly. 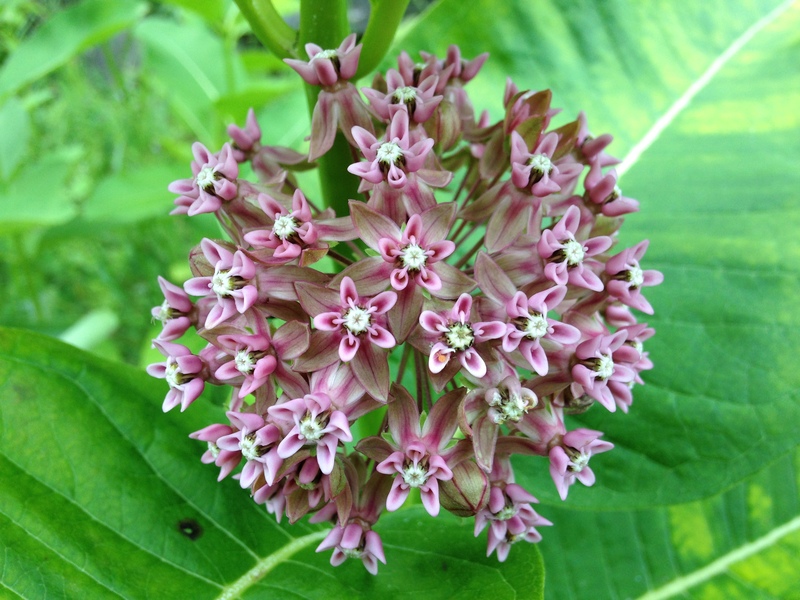 This entry was posted in Foraging and tagged Catskills Wildflowers, Milkweed, Monach Joint Venture, Monarch Butterfly, Sierra Club, Wildflowers of the Catskills on July 6, 2015 by JNUrbanski.